Well I made it back home the same day after a nice if painful ride. 160 miles in two days did not leave me unmarked with my first saddle sores leaving sitting comfortably as no longer being an option. I also somehow have managed to numb the little finger of my right hand – it has been three days now which is slightly worrying for when I set off tomorrow! The practice ride itself had some lovely sights. 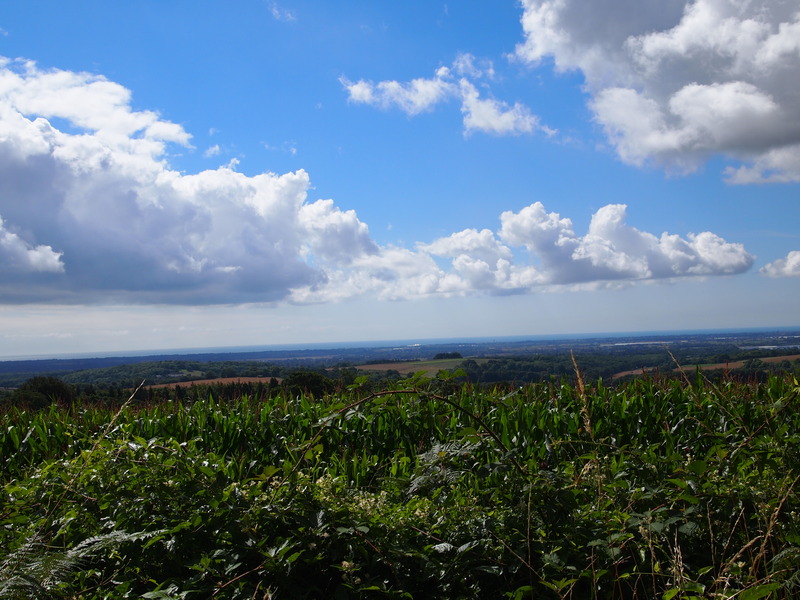 Including the sea and what was apparently the Isle of Wight – I was informed of this by another cyclist who due to their carrying about 35kg less weight than me kept passing me in spite of stopping to take in the view. 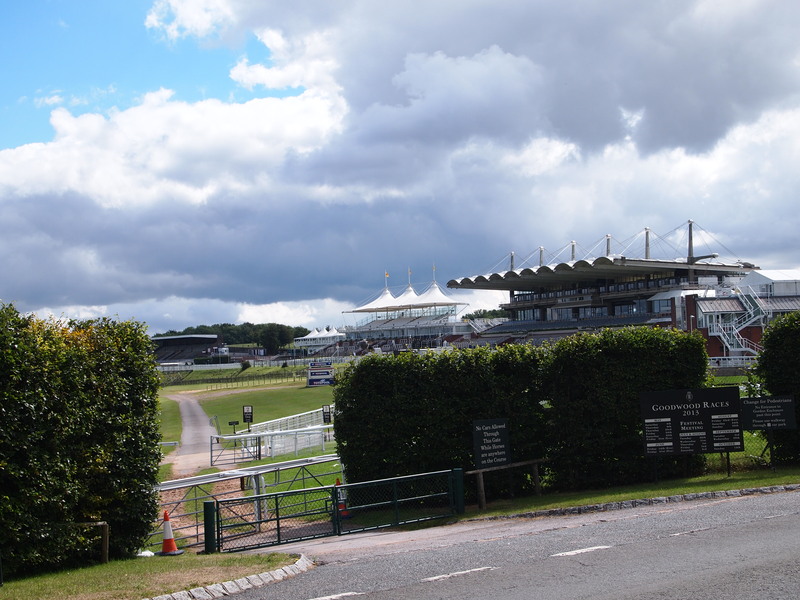 I also went past Goodwood racecourse, somewhat unexpectedly as my map didn’t make it clear exactly which road it was on. After that I didn’t really take any more photos as I was just getting on with the slog of trying to return home over a distance I wasn’t really physically prepared for! The village of Selborne was particularly beautiful – famous for Gilbert White’s House (no me neither) and is close to Alton where Jane Austen’s house is. 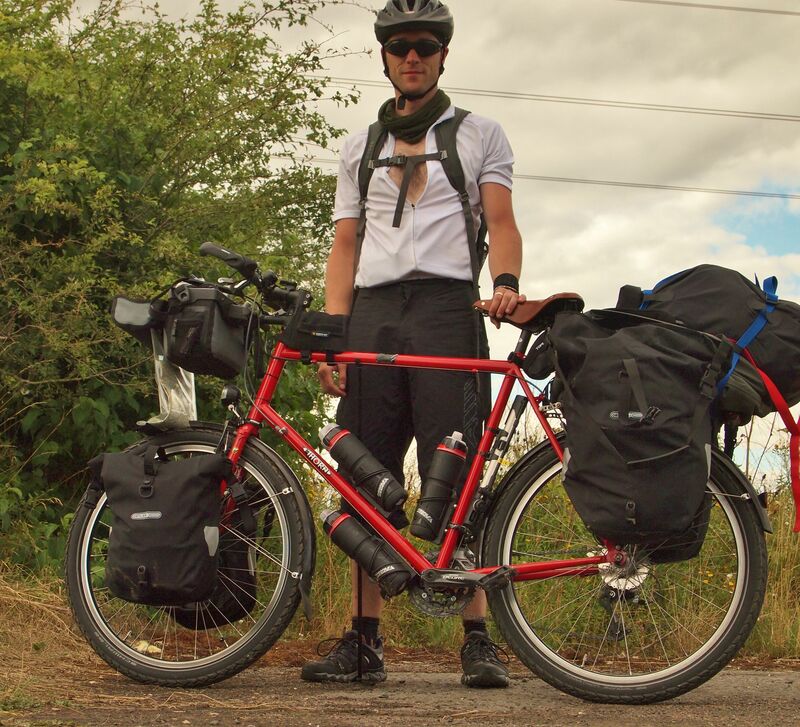 This is me fully loaded – hopefully I will have less when I set off finally. I am definitely losing the backpack as it seems likely that is what has caused the issue with my hand. August 11, 2013 in Cycle touring.